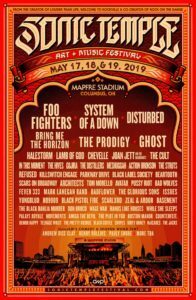 « THE CONTORTIONIST Announces The Clairvoyant North American Tour & The Stories We Tell Ourselves Tour with headliner Nothing More! 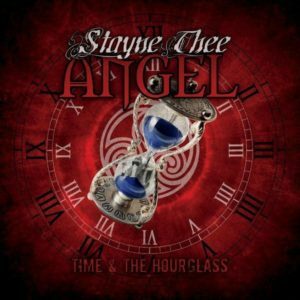 Positive Brilliance In Stayne Thee Angel’s “Time & the Hourglass”! If your tastes fall on the heavier side of the Metal spectrum, the opening track, “I’ve Been Here Before” will be the perfect introduction to STA. Crushing drums, furious guitar work and Daren’s unusual vocal timing will certainly raise a few eyebrows, but the lyrics manage to take, an otherwise reticent and personal perspective on what is to come on the rest of the album and tames any harshness that may be found in the music; giving an honorable and honest face to the band’s direction (this comes out live in droves as well) throughout the rest of the album. Staying on the heavier side of things, “Close My Eyes” quickly follows. The addition of rougher backing vocals introduces a bite and passion not heard in the opening song but stays on track with their trademarked positive outlook on life; not letting others’ pessimism cloud your personal perspective. Again, Brian simply kills the kit and Justin just shines with his catchy and riffy, axeman talent on this one. Third up is “Secrets”. 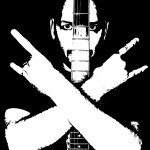 Taking a more 90s Hard Rock tact, Good’s vocal pacing and talent is allowed to really shine. Maybe it is just a matter of semantics, but he is really a singer and not just a vocalist. 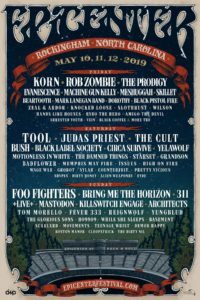 I just can’t help but be reminded of Layne Stanley’s timber here. So good lyrically and aurally. “On My Way” finally shows what Frank is capable on the big strings; carrying much of the melody throughout this slower number that gets more emboldened during the chorus and bridges. 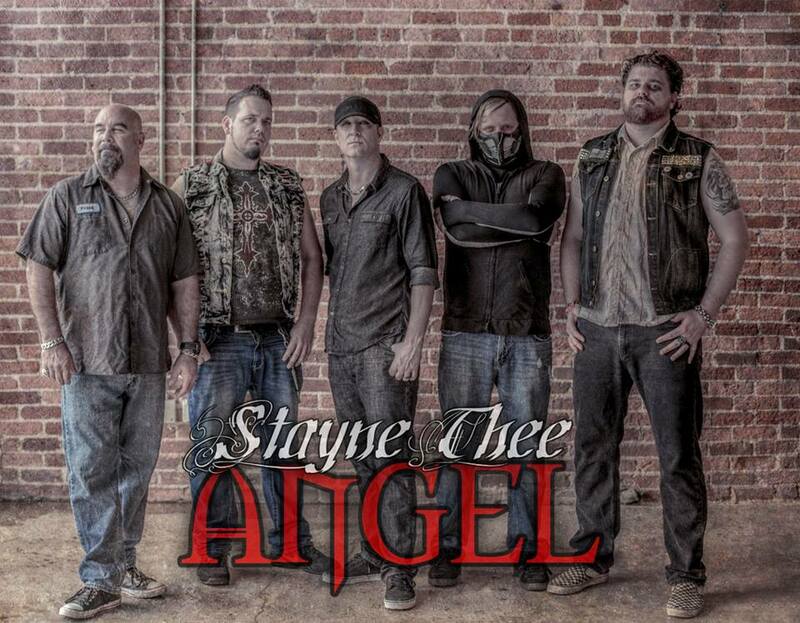 This really showcases Stayne Thee Angel’s songwriting prowess and overall music talents. If not for the following song, “Dance”, this would likely be my favorite (if forced to pick only one…). Dance, similarly defined in Garth Brooks “The Dance” just speaks to enjoying life to its fullest and taking chances before time allows no more chances. Heavy and fun with a positive message. Great songwriting! Gotta love when a song sounds exactly like what it is about and why it lands as my favorite. “For Sale”, by contrast, takes an angrier a grittier tact not heard anywhere else on Time & the Hourglass. This one is a real headbanger that speaks to selling out one’s soul to what others find value in, especially the from the crooked perspectives of our politicians. Kind of a “can’t look at myself in the mirror because…” sense of introverted fury. If that kind of intensity and passion is what turns you on, STA has got you covered with this one! In utter contrast, “Time Stood Still” is almost voyeuristic and personal. While the specific situation is not known here, the crushing emotion of betrayal and self-doubt rings through to the listener. Same intensity as “For Sale”, turned outward. Justin and George do a great job of laying an emotional and harmonic foundation for this heartbreaking track. Like “Dance”, it sounds precisely like the lyrical direction: sad and angry. So deep and relate-able. “Breathe” closes out this wonderful album. With many movements, this song is musically complex as it weaves around destiny, the uselessness of a hopeless attitude and giving your all to those that depend your time and talents; value being defined from within instead of from what others value. Great message and a fitting end to Stayne Thee Angel’s sophomore release of Time & the Hourglass. If it is not completely apparent, I am hooked on this album. 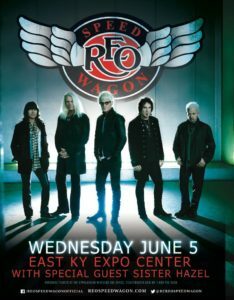 Not only is the music entertaining, catchy and engaging but I just feel better about life every time I hear it. It is not often that such honest and endearing subject matter is composed in such manner that it screams relevance while never falling into the pit of cheesy and insincere dribble. Brilliant song writing? Check. Good musicianship? Of course. Unique? Absolutely! The real prize here, however, is that one can walk away from it viewing the self and the surrounding world with a brighter and more positive perspective. This is exceptionally rare and what makes Time & the Hourglass so damned special. 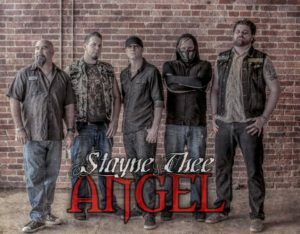 Take a listen on the links below and see for yourself and then buy the CD and some swag to keep Stayne Thee Angel doing what they were born to do well into the future. Wish there was more music with an overtly positive spin like this! 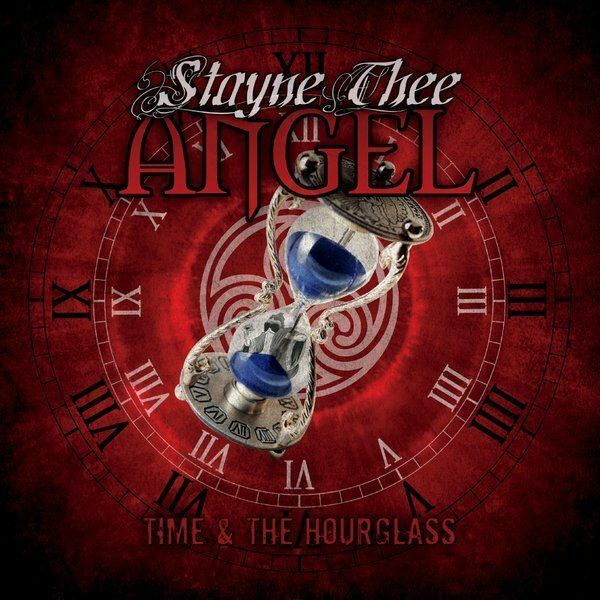 Tagged Stayne Thee Angel, Time & the Hourglass. Bookmark the permalink.